Suitable for lightweight fabric only. Images shown with Chrome fittings. Available in all metal finishes. 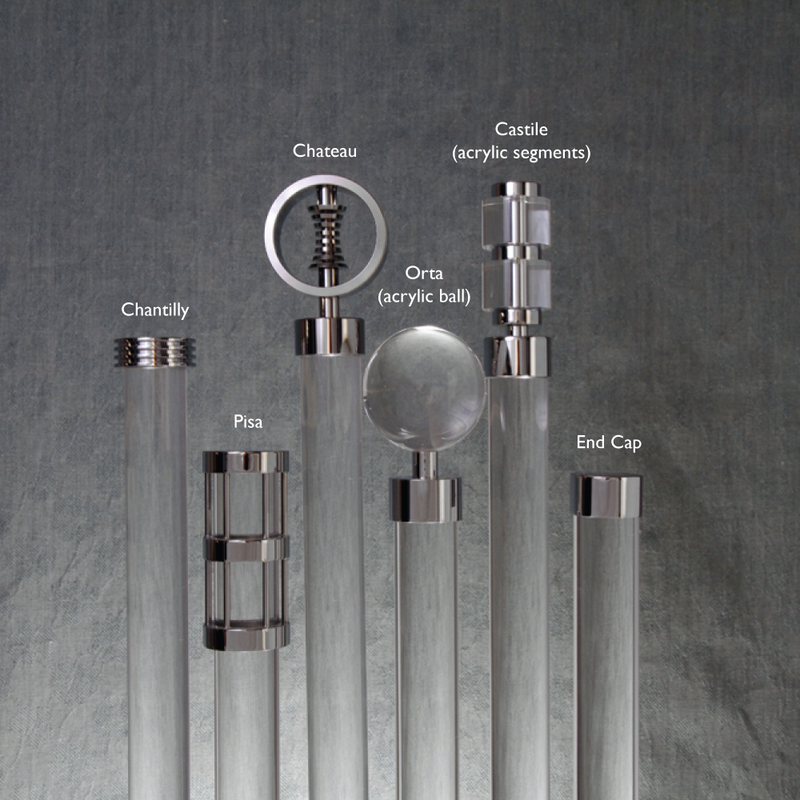 Chantilly, Pisa, Chateau, Orta (acrylic ball), Castile (acrylic segments) and End Cap.